Kansas City Southern (KSU - Free Report)	is scheduled to report first-quarter 2019 results on Apr 17, before the market opens. In the last reported quarter, the company came up with in-line earnings per share. Meanwhile, the bottom line rose 13% on a year-over-year basis. Also, revenues surpassed the Zacks Consensus Estimate and improved year over year as well. Furthermore, with the Zacks Consensus Estimate for first-quarter earnings being revised 2.7% downward in the last 60 days, things do not look rosy for the company. 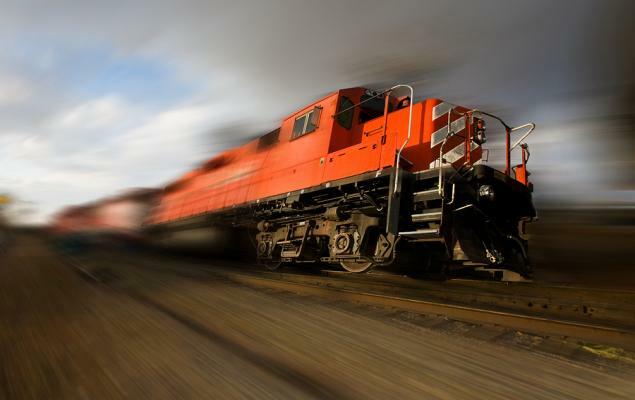 Let’s delve deeper to unearth the factors likely to influence this railroad operator’s results in the soon-to-be-reported quarter. High operating expenses due to costs on the labor and fuel fronts might hamper Kansas City Southern’s bottom line in the first quarter. In fact, the company’s operating ratio (operating expenses as a percentage of revenues), a key measure of efficiency, could also worsen on the same ground. Notably, the Zacks Consensus Estimate for first-quarter 2019 operating ratio stands at 65% compared with 63% reported in the fourth quarter of 2018. In fact, lower the value of the ratio the better. Elevated capital expenses are also likely to bump up the operating costs in the soon-to-be-reported quarter. Additionally, going by the last few quarters’ performances, the Energy segment might repeat its dismal performance in the first quarter of the year. This could further affect the company’s top-line growth. The Zacks Consensus Estimate for first-quarter Energy segment revenues is pegged at $66 million, roughly matching the figure reported in the final quarter of 2018. Segmental volumes are likely to be hurt due to weakness in the utility coal sub-group. However, as was the case in the final quarter of 2018, the Chemical & Petroleum segment is anticipated to perform well in the first quarter, driven by expanded volumes.The Zacks Consensus Estimate for first-quarter Chemical & Petroleum segment revenues stands at $165 million, above the figure reported in fourth-quarter 2018. Our proven model does not conclusively show that Kansas City Southern is likely to beat estimates this earnings season. This is because a stock needs to have both a positive Earnings ESP and a solid Zacks Rank #1 (Strong Buy), 2 (Buy) or 3 (Hold) for this to happen. However, that is not the case here as elaborated below. Earnings ESP: Kansas City Southern has an Earnings ESP of -1.02% as the Most Accurate Estimate is pegged at $1.45 per share, lower than the Zacks Consensus Estimate of 2 cents higher. You can uncover the best stocks to buy or sell before they’re reported with our Earnings ESP Filter. Zacks Rank: Kansas City Southern carries a Zacks Rank #3, which increases the predictive power of ESP. However, the company’s negative ESP in the combination complicates its surprise prediction this reporting cycle. Investors interested in the Zacks Transportation sector may consider Air Lease Corporation (AL - Free Report)	, Ryder System (R - Free Report)	and Werner Enterprises (WERN - Free Report)	as these stocks possess the right mix of elements to beat on earnings in the next releases. Ryder has an Earnings ESP of +3.44% and is a Zacks #3 Ranked player. The company is scheduled to release first-quarter earnings on Apr 30. Werner Enterprises has an Earnings ESP of +3.27% and is a #3 Ranked player. The company will announce first-quarter financial numbers on Apr 25. You can see the complete list of today’s Zacks #1 Rank stocks here.